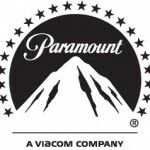 A company of television and film production and distribution, Paramount Pictures Corporation has been a top gross movie studio for a long period of time. It is also the fifth oldest of all the existing film studios in the world, producing various entertaining movies of world-class levels. The last major studio for films, Paramount Pictures has it’s headquarters at Hollywood district in Los Angeles. The company is a subsidiary of Viacom media. It distributes and produces films through Paramount Vantage and Paramount Pictures. The corporation has a collection of famous films like Godfather, Star Trek and even the series of Indiana Jones, under its belt. There are currently 0 consumer reviews about Paramount Pictures Corporation available. Share your review. Please take a note that you are about to post a public review about Paramount Pictures Corporation corporate office on CorporateOffice.com. This review will be public, so please do not post any of your personal information on this website. If you would like to contact the corporate offices of Paramount Pictures Corporation, please use their contact information such as their phone number, website, and address listed above to contact them. However, sometimes staff from Paramount Pictures Corporation headquarters do read the reviews on this website.